Booklet and luggage tag. "EC" indicates that this bag is going to an Epcot area resort- specifically, Boardwalk. Once you touch down in Orlando, simply follow the signs down two levels and head for the Magical Express Welcome Center. Cast members at podiums will scan your booklet and direct you to the proper line. Each line serves several resorts. Even though I'm usually in a hurry to arrive at my destination, I like when we make stops along the way- it gives me a chance to catch a glimpse of other resorts! Ride times vary, but you can usually count on about an hour between the time you arrive in Orlando and the time you check in to your resort. Once the bus is on the highway- a short ride out from the airport- the welcome video starts to play! Favorite characters greet you and give an entertaining rundown on what you're about to experience. Classic Disney animated shorts then play for the remainder of the trip, until you arrive at your resort destination. I was surprised when I learned that some people don't like to use the Magical Express service. They prefer to have a car with them at Walt Disney World. They don't like waiting around for buses or boats, they want to be able to easily go offsite, they want the freedom of coming & going as they please. I'm definitely not one of these people! I love not having to drive, not having to park, not having to navigate traffic, not having to worry about having a few adult beverages as I stroll the parks and resorts. Not having to deal with airport rental counters? Also great. I'd rather leave all aspects of the driving to someone else. 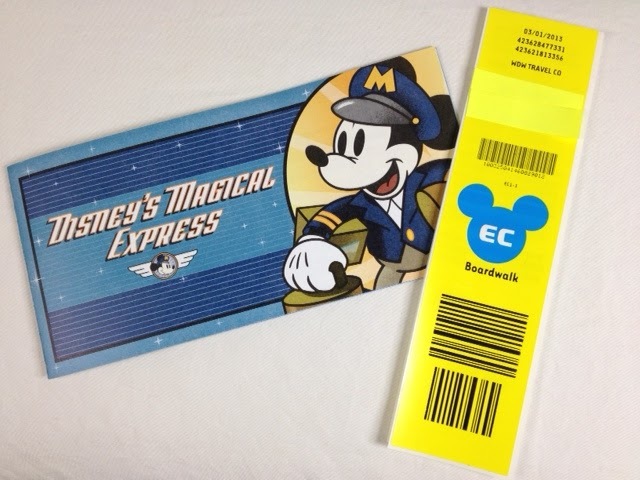 Yes, the Magical Express to Walt Disney World is one of my favorite things. Do you know what's NOT one of my favorite things? Do you know what's actually one of the worst things ever? The dreaded return envelope. This is the harsh smack back to reality: vacation is ending. The paperwork inside tells you what time you need to meet the bus the following day. It's always way earlier than you think it should be. The Magical Express schedules you for bus departure approximately three hours before your flight time, to make absolutely sure you'll be to the airport and through security with plenty of time to spare. If you're flying with a participating airline, you can even check your bags and get your boarding pass right at your resort- extremely convenient. 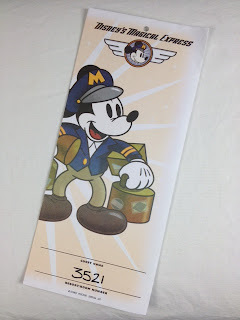 Have you used Disney's Magical Express? What do you think of the service? Or, are you one of those people who prefers to drive yourself when you're on vacation? Tell us about your experience in the comment section! Oh how I love that Welcome Video! It's cheesy, forced, and awkward, but it means I'm THERE! And it makes me happy every time. AHhh, the Magical Express. Such a simple thing - a bus from the airport - but like all things Disney it becomes part of the experience. so full of potential. Wish I was on it right now!!!! I'm the same as you: I don't want to drive when I'm on vacation! Too stressful!